I have this obsession with drums. I think that’s pretty obvious by now. So it is not surprising that an excessive part of my life is spent looking for great vintage gear or something really different in the custom drum world. In that pursuit, there are rare times when the vintage vibe re-appears in a modern drum, and it just grabs me. Here is one such snare drum. It was the brainchild of Ramy Antoun and Steve Furcinitti, a.k.a., A & F Drum Company. Together, they produced a raw all-brass shell with round, turret-like, center-mounted brass lugs, rolled brass hoops with vintage style clips, and a beer-tap-like strainer (the only chrome-plated part). Thankfully, no slotted tension rods – happy to leave those in the past! When I first saw a picture of a prototype, it reminded me of a snare I had seen from the late Roberto Spizzichino (and unfortunately never bought) – very raw and heavy looking. However, I did remember how great that drum sounded. According to Ramy, the idea was to make only 100 A&F snare drums of this series. My lucky number is “4” so I asked for number “44”. I also wanted one additional customization to make the drum even more unique and vintage looking. I contacted John Aldridge and sent him a picture of my original Ludwig Wild Rose Triumphal. I asked him if he could do something similar to the Wild Rose pattern on my drum. As always, John came through with flying colors. Every drum does indeed tell a story, and this one is about those who dreamed of it, created it and embellished it. I hope that you will take the time to read beyond the introduction and just glimpse the pictures. To truly understand and appreciate the history and soul of this drum, you need to put yourself in their shoes and read on! So please tell me a little about how you got into drums? “When I left Law School to do music, I got a gig at a studio - just kind of rolling cables and being a go-fer – go get this, go get that. The first week I was there, Curt Bisquera was coming into the studio to do a sample catalog. This other guy shows up with these drums. He sets them up, tunes and gets sound-checked. I was thinking, ‘Wow - this sounds awesome. How do I work with those guys?’ The drum tech who brought the stuff in was a guy named Jeff Chonis, who owned a company called Drum Paradise (and later became Ringo’s drum tech). All along, I was so intrigued about what was happening with the drums, the drummer and the sound. I was asking these guys question after question. One morning, I remember sitting down on the kit and Curt says, ‘Hey you play, right?’ and I was like, ‘Yeah.’ Then he said, ‘Get sounds for me today. Just go ahead and hit the drums.’ He gave me a couple of pointers. I went in and played. I came out of the booth and they all looked at me. Somebody said, ‘Dude, what are you doing? Why aren’t you playing drums? 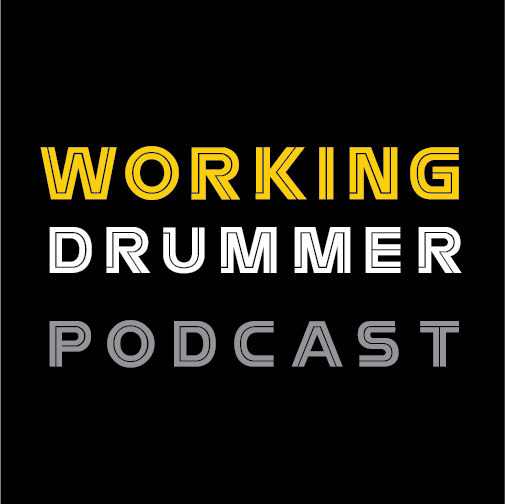 What are you doing working in a studio?’ That day, Jeff Chonis offered me a job as a drum tech for Drum Paradise, of course with the permission of the studio owner. So Jeff took me under his wing and taught me how to tune drums, and that there was more to drums than what was currently being made; there was this thing about vintage drums and why those sounds were unique. It really got me going. He was kind enough to let me come in late nights, like 1-4AM, to mess around with my drums - tune them, take them apart, clean them and put them back together. So I just got really geeked out about the sound of drums, and what makes different drums sound the way they do. I was only there about six months (1997) and went from being an employee to being a client, which was an interesting transition. In that time, I felt like I really developed my ears. That was a pivotal season for me. I fell in love with vintage drums. I don’t think I’ve ever told anyone this story – nobody really knows this. I’ve called Jeff many times over the years to say, ‘You know man, I really do thank you.’ When I first starting working at Drum Paradise, he brought me in, introduced me to everybody and said, ‘don’t get used to this guy, he’s just passing through.’ I remember this probably because they were such encouraging words. I didn’t know what he meant at the time, like ‘This is a crappy drum tech,’ or what. I found it later, it was more like, ‘You’re a great drummer; you’re going to do fine.’ I owe a lot to him. Like I said, I fell in love with vintage drums. The first vintage drum I bought was an old Ludwig Pioneer with a blue and silver duco finish. I messed with that for about 2 weeks to figure out how many sounds I get out of it. Then Ebay had just begun. Once that thing launched and I figured out how to use it, within the course of 3 months, I spent thousands of dollars and got about 20 kits and 20 snare drums, because stuff was going so cheap then. The first drum that I got and never let go of was a Ludwig 4 X14” nickel-over-brass (NOB), 6-lug, 1920’s, two piece shell with no stamp on the shell. Another drum that I bought, and still have, looks like a marching drum, 6 X 14”, made in Germany I believe. I think I got it for $60. It was a raw brass shell with thumbscrews at the bottom and a metal attachment like a leg brace for marching. Of all the drums in my first initial explosion of purchases, I knew that those drums were special. After that, I pieced together a white marine pearl Slingerland Radio King kit; a tom, a bass drum and floor tom and another bass drum, with small beavertail NOB lugs – 12”, 14”, 22” and 20” – oddly small sizes for that era. Those two drums and that Radio King kit kind of became my sound. From that point on, that’s all I played. I didn’t want to play anything else. I really gravitated toward these old drums. So let’s fast forward a bit – do you still have a sizable drum collection? When did you start thinking about making drums? “Around 2009, I started getting back into playing and producing and just more into the swing of things. The two drums I spoke about, the German drum and the 6-lug brass snare, are on more sessions that I’ve done than any other that I own. Time and time again, I put those up and they’re the ones I went with. About 3 years ago, I remember going to my wife, ‘Hey, I’ve been playing drums relatively well for about 30 years now.’ She said, ‘You should get something – you should get a really great snare drum to commemorate this.’ So I started looking around and playing stuff. There are a lot of great drums out there. A lot of it was pricey, you know, at the high end. I didn’t mind spending the money, but if I was going to spend $1800 - $3000 on a snare, it needed to be everything I wanted, for all intents and purposes. I needed to convinced that I would pull out this new snare drum before I pulled out those other two (the German 6 X 14” and 1920’s 6-lug 4 X 14”) – my go-to’s. Honestly, I couldn’t land on anything. Those are hard shoes to fill for a drum. Then I started looking for drums that were more like those two. I spent a little time doing this, but not much, because I started thinking, ‘You know, I’m just going to make a drum.’ I spent the next year and a half talking to different drum builders. How did you select the hardware for the A&F snare? 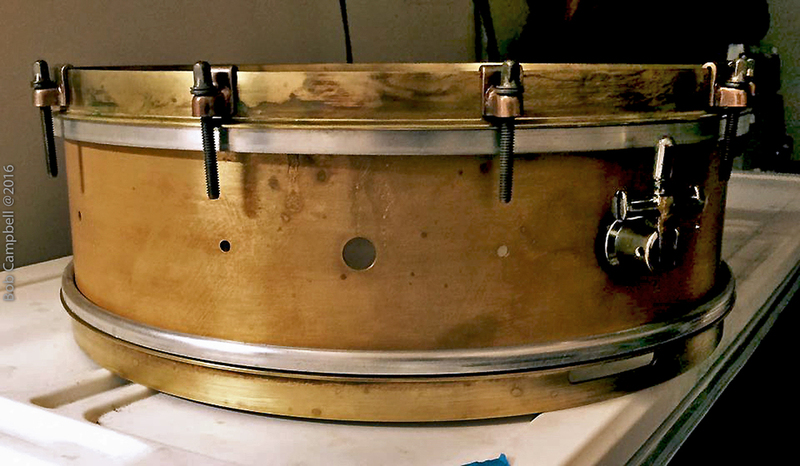 “My German 6 X14” raw brass shell snare had single flange, brass hoops. I had messed with the configuration of the drum so many times: triple flange, die-cast, you name it. But there’s something about the way the stick hits the drum and the sound that resonates with those single flange brass hoops – even though it breaks my sticks all the time, I don’t care! That sound reminds me of an early era of time which I love, but also speaks to me personally. I feel like I know that sound so well that I can play with it; it’s like an appendage. 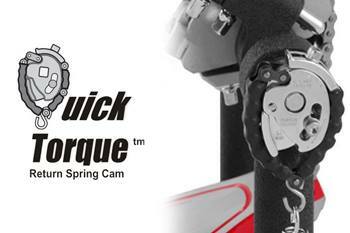 I had started designing a lug way back when I was a client of Drum Paradise and doing sessions in L.A. I wanted to design a really simple, but ‘commanding’ (single, center-mount, cylindrical) raw brass lug; it’s a tough lug! Overall, it’s honestly not a pretty drum; we didn’t have a jeweler mentality like A.K. or Gary Noonan. I wanted it to be very practical. The drums are raw brass so they will continue to oxidize over time. The German drum I have is not a pretty drum but it sounds amazing, and it continues to sound amazing. This was basically a prototype that I’ve had for 16 years. That’s why I had so much confidence in leaving the shell raw. So could you tell me a little about yourself and how you got into drum building? “I started drumming when I was nine years old, so now playing for 38 years, on and off. There was period of time off, maybe 6 years. I started off on a little Sears drum set with my rental snare, a good old Ludwig. I was listening to Boston, Foreigner and Aerosmith. I just kept it up throughout my life as something I loved doing – in bands and church quite a bit. When I was like 12, I had an old late 60’s Slingerland with a blue wrap that I later tore off and refinished. It didn’t turn out too well, but at age 14, I was pretty limited (laughs). As I grew up, I loved building and refinishing wood and metal, whether it was furniture or drums, working with my hands. However, as I got married, had children and other responsibilities, the budget for drums went way down on the priority list. So how long have you officially been a drum manufacturer? How did you hook with Ramy Antoun and form this joint venture, A&F Drums? “We met around April of 2015, even though we lived about 2 miles apart. I guess we never ran into each other because we didn’t go in the same circles. One of our mutual musician friends saw a post from Ramy; he was reaching out for local drum builders. This guy recommended me. We met up and discussed what I could do and what he was thinking about – it kind of grew from there. Ramy, one of the things I love about him and really sets him apart, he knows what he wants. He’s definitely not your run of the mill guy. Our personalities work together very well; we feed off each other. In the beginning, we spent a lot of time tweaking the drum. The first 6-7 months was spent with me just getting a feel for his vision for the drum. So all in all, I’m the manufacturing guy while Ramy is definitely the ‘idea man’. With our drum, Ramy wanted it to be unique and special, so only 100 were to be made. He was very specific about the design he wanted: 4 X 14” size, all brass hoops, brass lugs and raw brass shell. I played around with giving the drum an aged look and Ramy liked that a lot. Oxidation we welcomed (laughs) – a lovely patina. A lot of Ramy’s drums are really old and unique, so he definitely likes that old world look. We tinkered around with the idea of a brass throw-off on there but it would be cost prohibitive to design a completely new throw-off and develop prototypes, especially for a 100 drum run. So we settled on the Gibraltar George Way throw-off. That got us closest to an older style, while keeping a good amount of functionality. We tried a couple of others but they were way too bulky or too modern, and totally distracted from the look. For the A&F snare, how about something similar to the Triumphal Wild Rose pattern? Could you engrave small roses on the end of the turret lugs? I’m still not sure I can engrave the lugs, but I’ll try on the backside before I do it in a visible area. The box outlines the engraveable space in each panel, and the lugs and pattern are proportionately rendered. Looks cool. Is it possible to embellish a little more in the “corners” of each panel? Just wondering about filling the empty space more…? You know what they say about idle hands…just trying to keep you out of trouble J. A short time later, I had the completed drum with engraved Wild Rose shell and hoops a la the Aldridge modifications. It was spectacular. In addition to its beauty, the drum sounded equally impressive. Low tuned, it was dripping with fatness; at higher tuning, you could hear the shell ringing out a bit more, colorful and vibrant. I’m a sucker for rolled or single-flange hoops. The cross-sticking and rim-shots are to die for – worth breaking a few sticks. So that’s the story of the famous A&F Wild Rose engraved all-brass snare #44. When I’m gone, I’m sure it will still be around – who treats an engraved drum badly? In 30-40 years, it will have a wonderful patina and perhaps sound even better. It is indeed a vintage-styled, modern drum created by Ramy Antoun, Steve Furcinitti and John Aldridge (with a little instigation on embellishment from yours truly). Stay tuned; I hear there is more cool stuff coming from A&F Drum Company!